In 2014, 22 birds of prey including 16 red kites were found dead in one small area of the Black Isle in Scotland. One year on, their story has not been forgotten. Portrayed in a short film by wildlife film-maker Lisa Marley, Red Sky on the Black Isle uses a combination of interviews with locals, beautiful landscape shots, and bird close-ups to tell their tale. I won’t go on to describe how amazing the film is (I’d much rather you watched it and saw for yourself!). But being the proud sister, I will showcase some of the media attention Lisa has received as a result of her film. Those of you lucky enough to be in Edinburgh this week have the opportunity to view her film on the big screen! The aptly (but coincidentally) named Raptor Filmz Short Scottish Film Festival aims to promote and encourage film making in and about Scotland. It will be screening Red Sky on the Black Isle on 5th February 2016. Check out the Raptor Filmz Facebook page for more information on location, schedule, and tickets. For those of you who are unable to view attend, don’t worry – you can still find Lisa on Twitter and Vimeo to follow her work. This entry was posted in Conservation, Science Communication and tagged Black Isle, Conservation, Nature, Raptors, Red Kites, Science Communication, Scotland, Wildlife Crime, Wildlife Film-making on February 3, 2016 by Sarah Marley. Fifty-five is not a big number. But it could mean a world of difference to one small dolphin species in New Zealand. Maui’s dolphin is the world’s rarest and smallest known subspecies of dolphin. Found only in New Zealand,they typically range close to the coast in small pods although they can also be found around harbour mouths and further offshore. But their numbers have been decreasing due to entanglement in fishing gear and disease, with approximately 4 to 5 Maui’s killed each year. Which doesn’t seem like too many, right? In the 1970s, the dolphin population was reportedly around 1,800 individuals. But the species has rapidly declined since net-setting and trawling were introduced in the 1970s. A 2012 research study estimated that only 55 Maui’s dolphins now remain. Suddenly that 4 to 5 death rate seems a lot bigger. So just since that study was conducted, we are probably already approaching a population size of around 40 animals. Extinction isn’t just a threat – it’s a very real likelihood. If we are losing 10% of the population each year, you don’t have to be a mathematical genius to know that things aren’t looking good for the Maui’s. Especially given their slow reproduction rate – females reach maturity at approximately 8 years of age, and only have one calf every 2 – 4 years. The New Zealand government generally has a pretty good standing when it comes to conservation. In 2003, a ban on commercial set nets was added to an existing ban on recreational netting from north of Auckland to north of Taranaki, covering out to four nautical miles from shore. In 2008, this was extended to seven nautical miles and in 2012 the ban on set nets extended further south. Last year, the Minister of Conservation finalised a Maui’s Dolphin Threat Management Plan, which includes codes of practice for seismic surveys, regulations for inshore boat racing, and the establishment of a Maui’s Dolphin Research Advisory Group. Debatable. Although various marine protected areas have been created with the aim of conserving Maui’s dolphins, the government has failed to extend protections to areas where there have been credible recent sightings of the animals. That’s the thing about marine mammal conservation – these are free-ranging animals who cover large areas in a dynamic habitat. Thus, the distribution of populations will change over time and so needs constant re-assessment if protected areas are to have a positive effect. But this is an investment the NZ government seems unwilling to make. And despite several promising moves on the government’s part, it looks like money might win through in the end. This week, it has been reported by several news groups that the West Coast North Island Marine Mammal Sanctuary – home to the Maui’s dolphin – has been signed off for oil and gas exploration. The NZ government signed off a block offer of sea and land in April, which includes a 3,000 square kilometre overlap into the sanctuary. Oil and gas development in this area could have a devastating impact on Maui’s habitat by increasing levels of underwater noise through seismic surveys, as well as putting the area at greater risk of oil spills. The government has already had previous bungles with the block offer, with Simon Bridges, the Minister of Energy and Resources signing off New Zealand’s biggest forest park for drilling – despite having never heard of it. Not exactly reassuring that the government is taking conservation seriously. In fact, politicians are arguing whether this is even an issue, and NZ Conservation Minister Nick Smith is insisting that there hasn’t been a single observation of a Maui’s dolphin in the proposed exploration area. So no need to worry. But you have to wonder how hard they’ve looked? Numerous scientific and conservation groups have already called for the New Zealand government to take action to save the Maui’s dolphin. Just last week, the International Whaling Commission urged the government to do more to save the species, stating that it had “extreme concern” about the decline in Maui’s dolphins. In a recent report, the IWC estimated that Maui’s will decline to just 10 adult breeding females in six years and become functionally extinct in less than 20 years – unless their full range is protected from gillnetting and trawling. Support their campaign by signing the WWF online petition here. And hopefully we can convince the New Zealand government to stop faffing around and start taking effective steps to save the Maui’s dolphin. 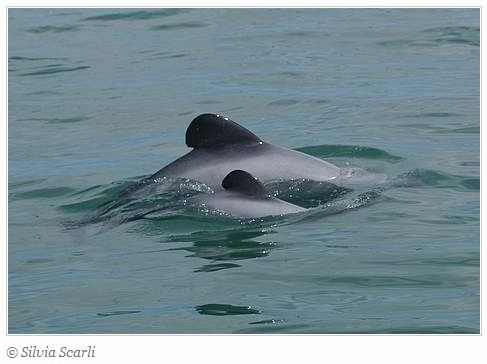 This entry was posted in Citizen Science, Conservation, Research, Whales and Dolphins and tagged Anthropogenic impacts, Conservation, Dolphins, Marine biology, Maui's dolphin, Nature, Research, Science, WWF on June 20, 2014 by Sarah Marley.